In charge of navigating luxury sailing ship, Royal Albatross is ship’s officer Oriel Marshall. 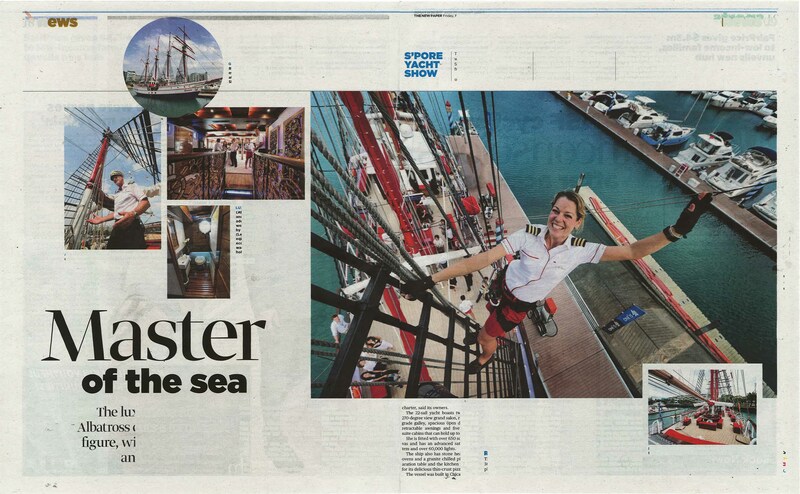 She also takes charge of diving, sailing and hospitality on the ship, which cuts a formidable figure with its 28m mast and 22 sails. The Barquentine Topsail Schooner is 47m long and is the world’s only four-masted luxury tall ship available for charter. It boasts two bars, a 270-degree view grand salon, restaurant-grade galley, spacious open decks with retractable awning and five large en-suite cabins.